Dennis Ole Christensen – who has been in detention since May 2017 - has appeared 38 times so far at Oryol's Railway District Court. 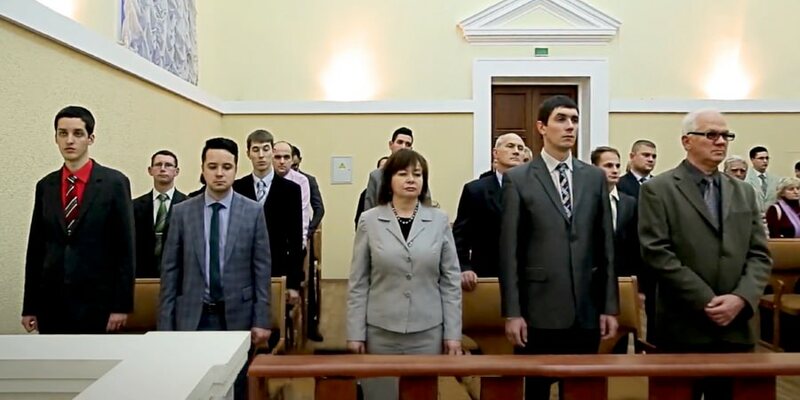 He is on trial under Criminal Code Article 282.2, Part 1 with "continuing the activities" of the Oryol Jehovah's Witness community, which was ruled "extremist" and liquidated by Oryol Regional Court in 2016 (see F18News 18 July 2017 http://www.forum18.org/archive.php?article_id=2297). His next hearing is due on 25 September. On 30 July, the judge extended Christensen's detention until 1 November. Another man is in custody and has been charged under Article 282.2, Part 1 after armed law enforcement agents raided the home of his 90-year-old mother-in-law early in the morning of 28 July. After the searches had seized the Jehovah's Witnesses' phones and computers, they took some people away for several hours of questioning. A criminal case has been opened, Jehovah's Witness spokesman Yaroslav Sivulsky told Forum 18 on 4 September, but nobody is known to have been charged or named as a suspect, and nobody from Razdolnoye has been placed in detention or under other restrictive measures. Kostroma saw three armed raids by riot police on Jehovah's Witness homes on 25 July, during which at least one front door was broken down, computer equipment and bibles were confiscated, and Sergey Alekseyevich Rayman (born 1996) and Valeriya Aleksandrovna Rayman (born 1993) taken away for interrogation and later placed in a temporary detention centre. They have now been charged under Article 282.2, Part 1 and Part 2 respectively. Forum 18 wrote to the Kemerovo Region FSB before the start of its working day on 4 September, asking why armed force had been considered necessary and why Britvin and Levchuk had been detained.. No reply has been received. According to federal tax records, Alushkin was not the chair of the former "Arbekovo, Penza" registered Jehovah's Witness community and does not appear among its founder members – nor were any of the other three men charged on its committee.